News | Consolidated Technologies. 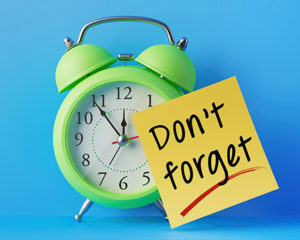 Inc. : Consolidated Technologies, Inc.
On January 14, 2020, support for Windows Server 2008 and 2008 R2 will end. That means the end of regular security updates is eleven months away. 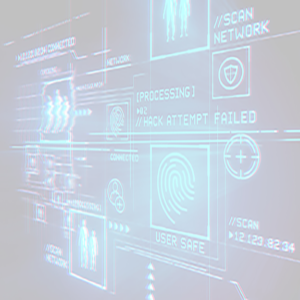 Don’t let your infrastructure and applications go unprotected. We’re here to help you migrate to current versions for greater security, performance and innovation. This video, based on our most popular blog post “10 Common Causes of Data Loss,” highlights some of the important findings from the article. AUSTIN, Texas– Avaya ENGAGE – Avaya Holdings Corp. honored their U.S. partners for outstanding collaboration, contribution, and commitment to innovation. Avaya’s Partner of the Year Awards celebrate leaders across five categories (Innovation, MidMarket, U.S. Federal, Cloud, and Service) in addition to the top award presented for Overall U.S. Partner of the Year. Avaya has over 4,700 Partners globally. Consolidated Technologies, Inc. (CTI) was selected as one of four Avaya Partners to be nominated for the top award of “Overall Partner of the Year”. 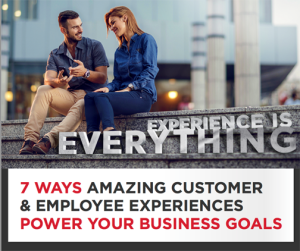 The Avaya Engage conference is an annual gathering of Avaya Partners and Users that includes general sessions, workshops, and breakouts; inspirational and informative speakers; and content experts to drive and enhance customers’ digital transformation journey. As cyber attacks on Small and Mid-Sized Businesses continues to grow, it’s more important than ever for SMBs to have a solid cyber security solution in place before your company becomes part of another statistic. View the WEBINAR ON DEMAND Now! Avaya BreezeTM is an application platform that makes it easy to build real-time communication applications that allow you to orchestrate between people, media, devices, and business events. The platform is designed so anyone can create communications applications and workflows without any previous development knowledge or experience. It’s fast. It’s intuitive. It’s a Breeze! Get a comprehensive overview of everything you need to know about Cybersecurity from this valuable resource page. It contains numerous articles and checklists to help your company combat the ongoing attacks by professional hackers and the threat of massive data breaches, The informative content allows you to easily learn what actions your company can take to protect your data in the future. You can even download the information in PDF format. Securing your network and devices from unwanted visitors is very important to CTI. 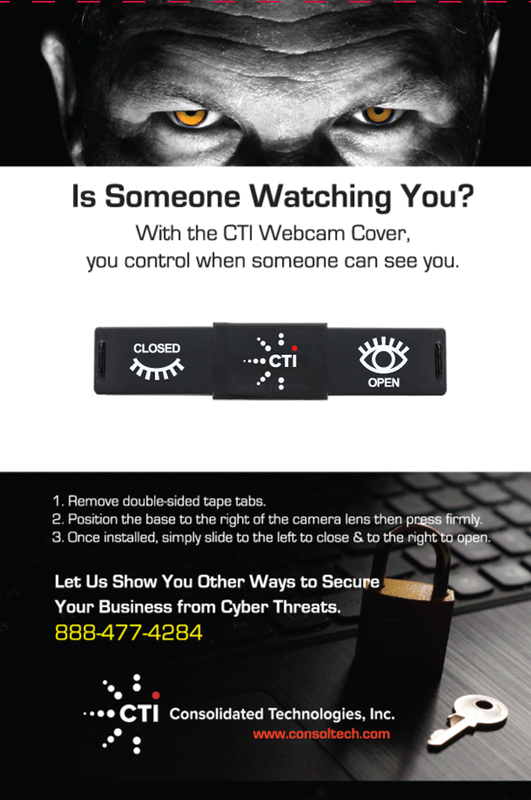 So each month we’re giving away ten CTI Webcam Covers to people who fill out our short survey. This easy-to-use webcam cover easily fits over any laptop or monitor camera and alerts you to when your camera is viewable by others. So get that extra layer of security by filling out our short survey for your chance to win one of these limited-edition webcam covers. Click here to take survey now! Join Senior Cyber Security expert Scott Croskey (from SkOUT Secure Intelligence) and CTI’s Director of Managed Services, Harry Abt, for an informative discussion on the latest cyber strategies and best practices that organizations should be implementing to help mitigate risk and stay ahead of emerging threats. 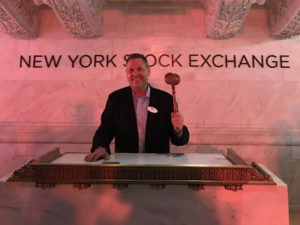 On January 18, 2018, Avaya celebrated another major milestone when they rang the bell at the New York Stock Exchange to mark the public trading of Avaya (AVYA). This significant event marks the beginning of an exciting new chapter for Avaya, its partners and customers. CTI and its President, Kenny Heitner, were excited to be there taking part in the festivities. 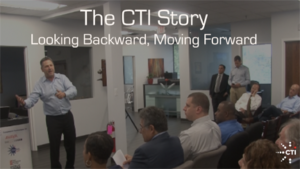 To celebrate CTI’s 20th year in business, the four partners and members of the team share the origin of the company, what it’s like to work at CTI, and where the company is going in the future. Created by CTI Marketing Manager Michael Latshaw for the company’s 20th Anniversary Celebration, the video provides a great overview of the company and its people. Nothing is safe these days when it comes to a security breach. Even your office printer. Less than 2% of them are secure. If you’re not taking your printer security seriously, someone else might be. Check out The Wolf, an entertaining and informative video from HP starring Christian Slater that shows you just how vulnerable your printer may be. For small to midsized businesses Microsoft Windows based systems remain dominant. Windows continues to be the operating system most widely used on desktops and laptops. And Microsoft Office remains the most widely used work office suite. So it’s no surprise that Windows systems remain the top target for ransomware, too. Ransomware typically encrypts your files and promises to decrypt data after a ransom payment. 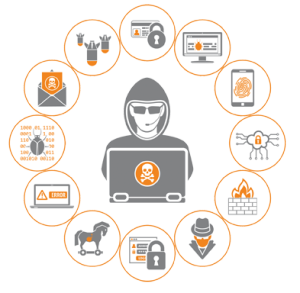 The collaborative capabilities of Office 365 make ransomware defense more challenging. Thanks to shared files and OneDrive sync, your files may be in more places than ever. A user that shares a document with colleagues can end up with copies on multiple laptops. Each person with editing access might sync a copy to their system. When one person gets ransomware, files get encrypted — then the encrypted versions sync through to everyone else. To learn the strategies that will help reduce your ransomware risk and help you recover your data when a ransomware event occurs, click here. 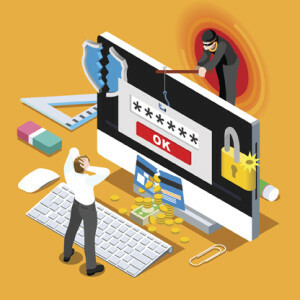 Larger organizations dominate the headlines when it comes to cybercrime, but it is the small and medium-sized business (SMBs) that are becoming the primary targets and are bearing the brunt of most attacks. 60% of all targeted attacks strike SMBs. In 93% of cases, it took attackers minutes or less to compromise systems and data exfiltration occurred within minutes in 28% of the cases. 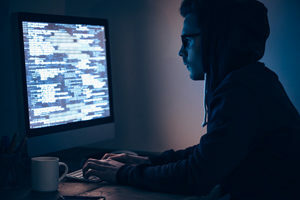 So, why are hackers targeting SMBs and what can they do to protect themselves from this growing spectre of cybercrime? Deliver the experience your customers expect. Take a 360° look at your customer contact world. Address channels, customer routing, resource matching, data captures—every detail. Get real-time, fully meshed insights into what’s going on with your customers: Manage engagement across any device or channel. Gain omnichannel awareness and collect context from each customer interaction. To demonstrate the remarkable capabilities of Avaya Oceana, Avaya created a new video showing a typical buyer’s journey. See people engaging from three perspectives: the customer’s experience, the agent’s experience, and the business manager’s experience. Grab a cup of coffee and take a look. And talk to your CTI representative about using Avaya Oceana in your business. 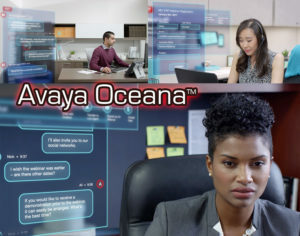 Watch the Avaya Oceana Video to learn more! The average user engages with their devices for three hours and 16 minutes each and every day. We’ve passed the tipping point. The consumer usage of mobile devices has reached a level we can’t ignore. The mobile revolution is here. According to Gartner, there were 5 billion connected devices by the end of 2015—that number will swell to 25 billion by 2020. That’s more than three devices per person on Earth. You can’t ignore mobile. Your competitive position and differentiation in the marketplace depend upon embracing it. Enterprises that fail to develop and implement mobile strategies will lose customers, and winning those customers back will be very expensive. Learn the 5 Reasons to Embrace a Mobile Strategy Now! Need help with system administration or training new hires? 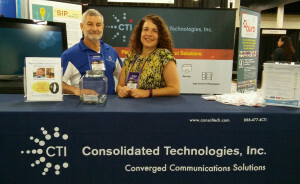 CTI Insight has you covered. Today’s employees are connected to the Internet all day every day, communicating with colleagues and stakeholders, sharing critical information and jumping from site to site. With hackings, data breaches and ransomware attacks on the rise, it is essential for all companies to plan for the worst, with mandatory cybersecurity trainings for all employees and with the recommended solutions for mitigating the risks. Make sure you’re prepared with our Cyber Security Checklist. Learn more! Consolidated Technologies, Inc. (CTI) is pleased to announce that CRN®, a brand of The Channel Company, has named CTI to its 2017 Managed Service Provider (MSP) 500 List in the Elite 150 category. This annual list recognizes North American solution providers with cutting-edge approaches to delivering managed services. Their offerings help companies navigate the complex and ever-changing landscape of IT, improve operational efficiencies, and maximize their return on IT investments. 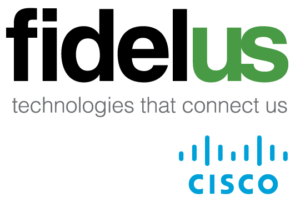 NEW YORK CITY, January 19, 2017 — Consolidated Technologies, Inc. (CTI) and Fidelus Technologies, two New York City based Unified Communications & Collaboration services providers, announced a strategic Partnership to broaden their product and service offerings. The two market leaders, known for their domain expertise and fanatical approach to customer service, are partnering to provide their customers an expanded portfolio of solutions focused on the delivery of advisory, design, planning, implementation and managed services for Avaya, Cisco & Microsoft solutions. Today is the Age of Experience. It’s so much more than being there for your customers when they pick up the phone. It’s so much more than your employees’ ability to effectively collaborate across distances and across devices. Because when it comes to unforgettable customer service and unquestionable employee satisfaction across every industry, EXPERIENCE IS EVERYTHING. To learn more, view our Infographic. 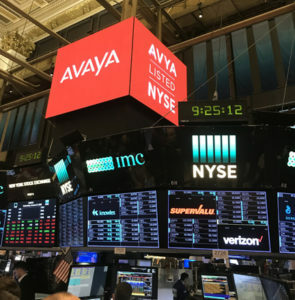 Consolidated Technologies, Inc. (CTI) was awarded Diamond Enterprise accreditation from Avaya as part of their newly launched Channel program, Avaya Edge. The company has also been honored as Partner in Customer Excellence and is currently the only Diamond Enterprise partner Headquartered in New York City with this accolade. CTI is one of the elite channel partners in the US to have been awarded the prestigious Diamond Enterprise accreditation for delivering complex multi-vendor projects around the world. Avaya introduced the new streamlined channel program to enable partners to thrive in a software and services industry by providing greater rewards for partners who have achieved accreditation gem levels. “We are delighted to have been awarded the Diamond accreditation and Partner in Customer Excellence by Avaya for achieving consistently strong customer satisfaction results over the past year and for successfully deploying complex international projects. The Edge program is a great initiative that has been created to support performance and the ability for channels to differentiate in the evolving digital market. We found it easier to complete the necessary qualifications in this program and we are now rewarded with sales in recurring services and software. With Avaya’s support we will continue to deliver a superior service to our customers around the world,” stated CTI’s President, Kenny Heitner. To learn about Avaya’s latest innovations, click here. 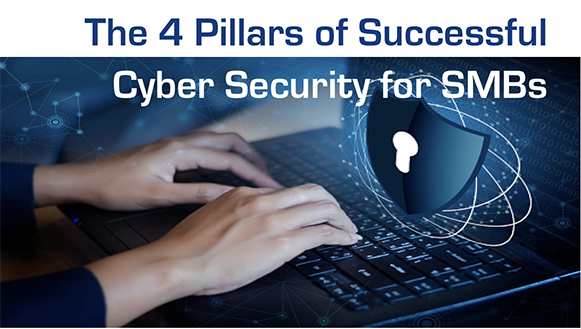 Businesses should take stock in their cybersecurity best practices and commit to new and improved information security and governance practices. With 2017 upon us, you’re likely reflecting on your business triumphs, challenges, and opportunities over the past year and planning ahead. While doing so, make sure to include cybersecurity best-practice resolutions along with increasing profits, as ID-theft criminals are working hard to take those profits from you. 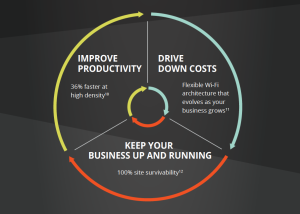 Does Your Wi-Fi Match Customer Expectations? Did you know 67% of small to midsize businesses view mobile solutions and services as critical to their business? You need your network to provide the quality experience users expect, to be affordable, and to grow with you. 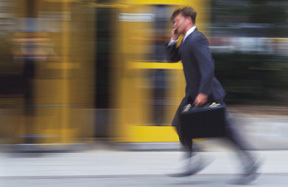 Is your network ready to support a mobile workforce? View our infographic to find out. It is with great sadness that CTI shares the passing of beloved company member Tim DeRosa with our customers, partners and friends. 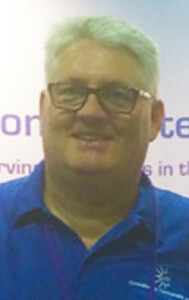 In 2005, when Tim joined CTI, he was already an industry veteran who had run his own company. Tim ran CTI’s NYC office and quickly established himself as a reliable and trustworthy member of the company. Tim built a loyal following of sophisticated customers that counted on him for steadfast advice and support on a regular basis. He impressed customers with his upbeat attitude, deep knowledge and dedicated work ethic. Always ready with a smile, he was a valued member of CTI and will be greatly missed. Tim was unquestionably a great teammate and friend to all at CTI. Tim was and will always be an inspiration to all of us. His generosity and positive attitude was remarkable and second to none. He will be dearly missed, but never forgotten. With heavy hearts we cherish the memory of the many years we enjoyed his presence at CTI. Please join us in sharing our condolences to his family. 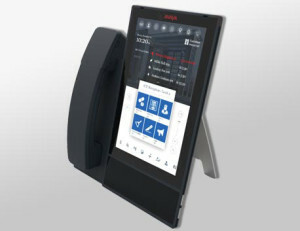 In a world where experience is everything, Avaya recently announced its newest innovations that create true multi-touch communications capabilities with a contextual, 360 degree view of the customer. The latest innovations include new products, common client SDKs, networking and security enhancements, and a new subscription pricing model. As 89 percent of businesses today expect to compete primarily on the basis of customer experience—up from 36 percent just four years ago—these same businesses are increasingly looking to map their customer journeys as part of the strategy to win the customer experience battle. Whether you’re a trained Telecom Administrator, IT Manager or non-technical Office Administrator and you’re in charge of your company’s communications, the CTI Tier II Support Team is here to handle CTI’s customers’ issues from simple to complex. Led by 20+ year veteran Cristina Goldberg, the Technical Services team can help clients with most issues quickly and remotely right over the phone. The Technical Services Team are able to diagnose most problems in less than twenty minutes, so generally it’s a fast process to get customers on their way to a resolution. The CTI Tier II Support can also monitor your systems 24/7, delivering proactive notifications of any potential problems. Many CTI customers rely on the team for everyday modifications like password and names changes, along with more complicated auto attendants and vector programming. They also help customers that purchase carrier services through CTI, or are subscribed to CTiQ Carrier Resolution services, work with their carrier service providers when additional insight and knowledge is required to troubleshoot problems beyond their physical telephone systems. On December 14, 2015, CTI officially moved the company’s Port Chester NY headquarters into a newly renovated office space at 8 Slater Street (just across the road). 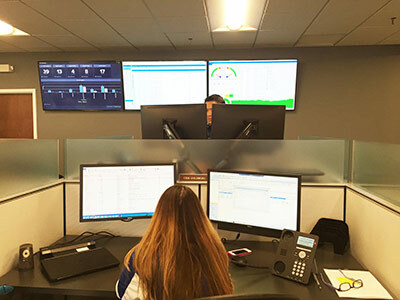 The move came after months of planning and hundreds of hours of teamwork, and reflects CTI’s commitment to providing customers with a streamlined experience. The configuration of the office was designed to encourage collaboration among various groups within the company. Everyone is on the same floor in a large open space, so people can easily get together to discuss a customer’s needs. 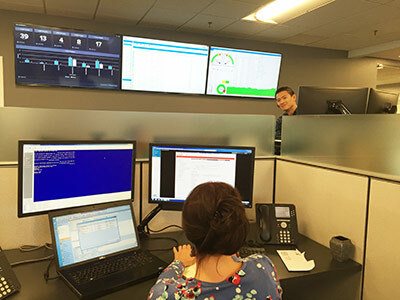 The transformation also symbolizes the change CTI has made over the last several years, expanding on its traditional voice offerings to now being recognized as a full-service Systems Integrator and Managed Services Provider. 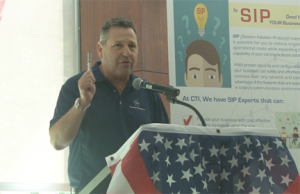 “We’re taking the best of what the technology world has to offer and making it available to our customers,” says Harry Abt, CTI’s Director of Managed & Integrated Services. All the new changes at CTI are chronicled in “BANDWIDTH,” a reality show parody that was first shown at the company’s annual end-of-year party. The first episode, titled “Beyond Voice,” combines real-life footage from actual CTI meetings with “diary room” confessions of the various meeting participants. It’s all done with a light touch and features company members basically playing themselves. February, 2015 – Consolidated Technologies, Inc. is pleased to announce that the company has earned recognition on The Channel Company’s 2015 CRN Managed Service Provider (MSP) 500 list as one of the MSP Progressive 250. This annual list distinguishes the top technology providers and consultants in North America whose leading approach to managed services enables their customers to improve operational efficiencies, elicit greater value from their IT investments, and successfully leverage technology to achieve greater competitive advantage. 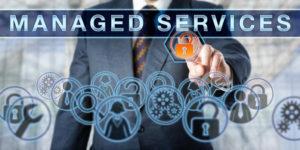 “CTI’s recognition on this list is reflective of the accelerated adoption of Managed Services we are seeing with our customers,” says Harry Abt, CTI’s Director of Managed & Integrated Services. ”CTiQ’s suite of services offers clients a comprehensive range of Managed Services for Unified Communications, Corporate IT Network Management and Desktop Support.